Amazon announced today that it has ordered a 26-part kids series from Studio Ghibli featuring narration from one Dana Scully—excuse us, Gillian Anderson. Studio Ghibli’s first small screen venture is directed by the Goro Miyazaki, the son of co-founder Hayao Miyazaki, and was produced together with CGI animation studio Polygon. Ronia is based on a 1981 fantasy novel by Astrid Lindgren, the Swedish creator of Pippi Longstocking. The story follows a young girl growing up in a woodland full of strange creatures, as the only child of the leader of a band of notorious thieves. She has various adventures involving the magical creatures of the wood, but eventually forms a friendship with a young boy, the only child of the leader of a rival band of thieves. After Hayao Miyazaki announced his retirement in 2014, the studio announced that it was shutting down film production. However, the studio has continued to work on other projects including Michaël Dudok de Wit’s international co-production The Red Turtle and Ronia. 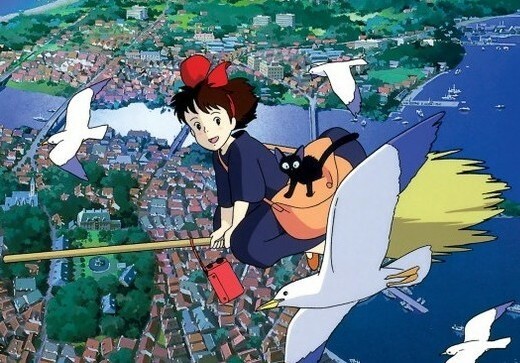 Yesterday, Michiyo Yasuda, the artist who coloured some of Studio Ghibli’s biggest films, died at the age of 77. READ Russia LinkedIn Ban: What Will Happen To 5m Russian Users? Yasuda worked with iconic animator Hayao Miyazaki on 13 animated productions including My Neighbour Totoro and Howl’s Moving Castle.